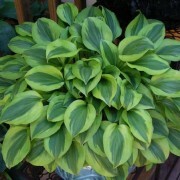 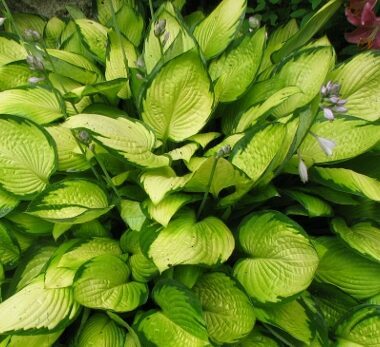 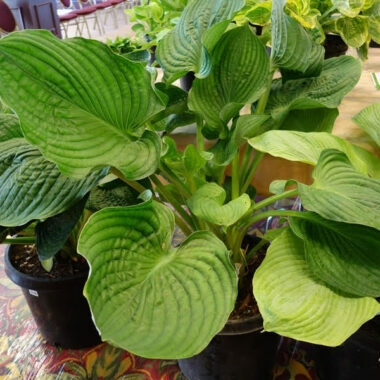 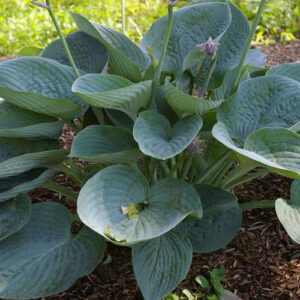 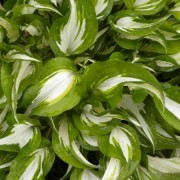 Good as Gold Hosta – A unique all gold. 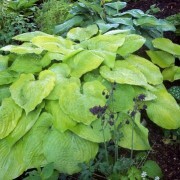 Color is chartreuse and as light is increased, changes to gold. 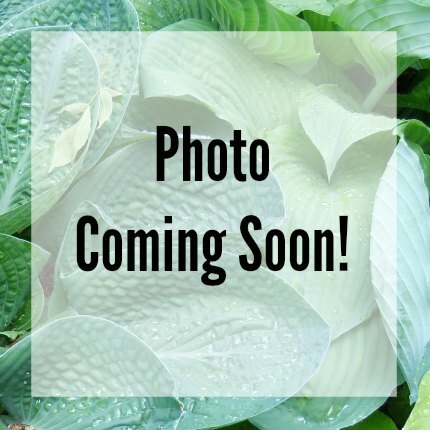 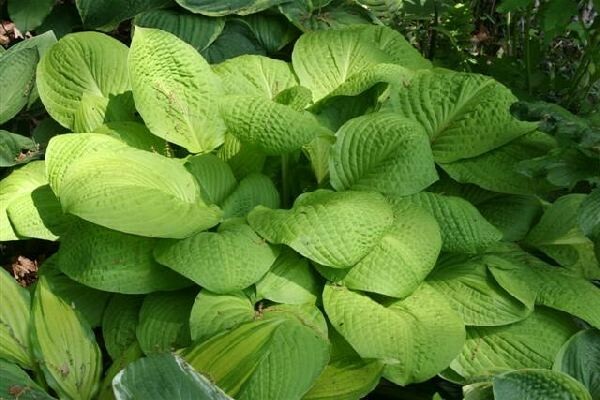 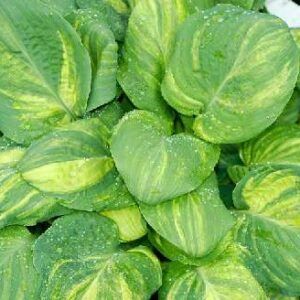 Medium: Medium-sized mound (17″ high x 52″ wide) of chartreuse to gold foliage; leaf size 10″ long x 6 1/2″ wide (11 vp); leaves also oblong-ovate in shape, slightly wavy, and slightly corrugated.